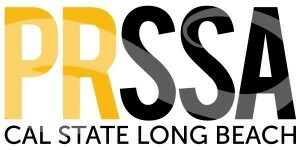 Tonight (10/25) at 7pm PST Cindy Ronzoni, Matt Prince and Jason Tucker will be speaking at PRSSA Cal State Long Beach. Interested to find out what your favorite social media sites can accomplish in the public relations sphere? Come out to our Social Media Panel Discussion to find out! As Manger of Executive Communications for the Disneyland Resort, Matt Prince handles all strategic communications for executives covering the world-famous Disneyland Park, Disney California Adventure Park, the Disneyland Hotel, Disney’s Grand Californian Hotel & Spa, the Paradise Pier Hotel and Downtown Disney. A native of the Southern California, Matt received his Bachelor’s Degree from California State University, Fullerton in Communications and currently sits on the board of directors for the Orange County Public Relations Society of America (OCPRSA) as Membership Chair and the Orange County Forum. Deeply involved within the community, Matt currently acts as a volunteer Disaster Response PIO for the Orange County Red Cross and is committed to several non-profit organizations throughout Southern California including the Muscular Dystrophy Association, Mothers Against Drunk Driving and Big Brothers Big Sisters of Orange County. In addition, Matt frequently speaks to local universities on topics of youth leadership, communications, social media and business ethics. Jason brings 15+ years of hands-on experience as a web developer and systems administrator at large corporations and businesses in the fields of healthcare, manufacturing, technology and entertainment. Specializing in PHP coded sites most of his recent projects are built using WordPress CMS. Tucker Professional Web Services is a full-service web design / web development / marketing company based in Whittier, California. His company, Tucker Professional Web Services (Tucker.Pro) caters to clients of all sizes. He and his team help propel businesses to new levels through their expertise in software implementation and graphic design. Utilizing the latest tools in communication platforms, Tucker Pro can assist companies, local and global, to gain new leads, grow databases, connect with consumers and enable online sales. They can transform your website to be properly sized for tablets and mobile phones and produce original content that is shareable in social media. No matter the size or marketing challenge, Tucker.Pro is on hand to provide affordable estimates to help you increase your online awareness and engage with your consumers. Thanks for stopping by, feel free to share using the links below.